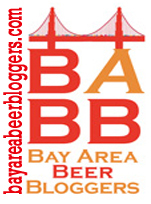 In July, San Leandro’s Drake’s Brewing Company released their latest edition of Aroma Coma IPA. The company sent me a sample bottle, along with a nifty branded glass to drink it in, which I found waiting for me upon my return from Peru. The 2017 Aroma Coma is double IPA. The brewery press release indicates that they have added more Citra hops and more rye malt and light caramel malt. The ABV has also been bumped up to 8.0%. 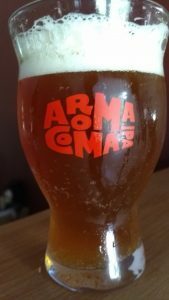 I found Aroma Coma 2x IPA to be intensely hoppy –as befits a double IPA– with citrus notes, particularly grapefruit and a touch of orange. It is malty, which helps balance the hoppiness. It is a big beer, but not over-the-top in any regard, and is easy to drink. I’ve gotta say, I found it altogether pleasant and a lovely way to treat myself after the workday.